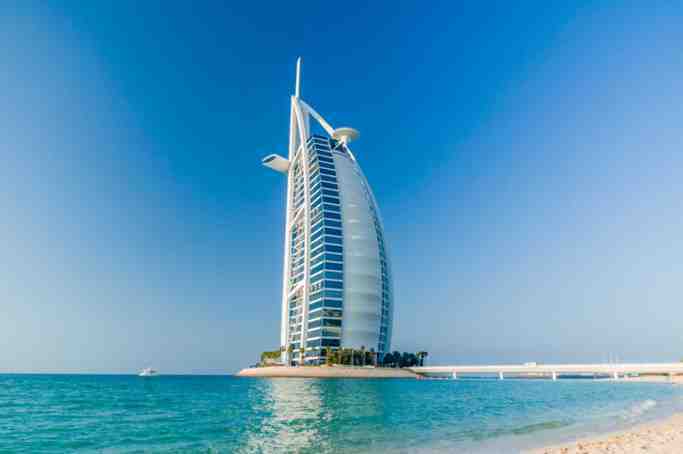 We pickup only from Dubai Hotels. We dont pickup from private residences and apartments. Please be ready at the concierge desk 5 minutes before the pickup time. The safari was beautiful, the ride in 4x4 has been exciting and fun. Our guide (Ghulam (??) was friendly and accurate, To ride the Quod was nice and picturesque walk on a camel at sunset. The shows during the dinner were really nice. Really good experience. This tour was one of the best experiences I ever had with tours. Everything from pickup to camp to performances to drop was perfect! 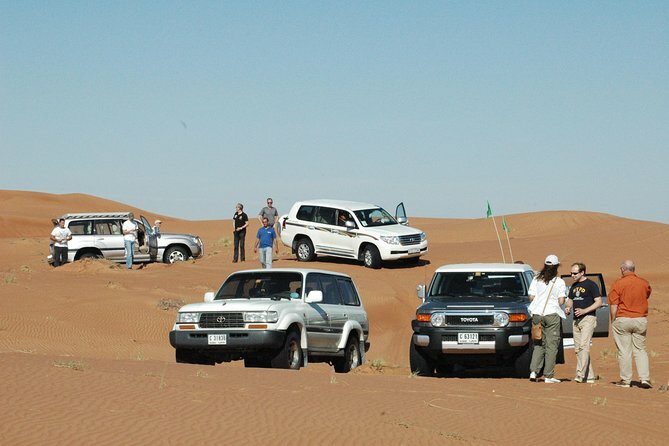 I would seriously recoorecommend Mohammad as the tour guide you should choose for Desert Safari.I was a bit skeptical before booking this tour as I had very less time in Dubai and wanted every bit of it to be perfect. I researched a lot for best tour and landed up booking with Sand Trax as they had highest rating / reviews on multiple sites. I am really happy that these reviews lived up to my expectations. I can’t write every tiny bit I enjoyed as that would take pages so would simply say loved everything in the tour and would highly recommend of taking this tour. The company we were assigned was Sand Trax and they were absolutely phenomenal. Our guide was “Chocolate Khan” who was funny and kept us entertained throughout the entire experience. You can’t come to Dubai and not do this! Great deal for the price. Awesome time in the desert and great experience. Very nice guide. Great value for money !! absolutely incredible and I will do it again !! All advertised is true make sure that you are prepared for the adventure. It is advisable to carry cash on the trip with you to purchase some items that might add value to the experience. My personal highlight was the camel ride and the quadbikes. I got to take selfies with camels and rub their face that was unbelievable for me. If you are visiting Dubai, this should be in your bucket list. The dessert drive on its own is also amazing so just but the deal, you will be glad you did. Amazing time, the 4x4 was really good and comfortable. Chocolate Khan is funny and he is very helpful. The Quad ride was amazing, it is just a circuit but you can get a good ride out of it. The Camel ride is more of a picture opportunity and not a proper ride. Maybe a minute at best. But worth it for the picture. BBQ dinner was good and nice. The tea, drinks were good. Nice relaxing place, with a prayer area. I would recommend. It was a definitely a different kind of tour! I enjoyed pretty much everything except the camel ride--it almost broke my back when it put me down. The guy who was in charge of the camel didn't speak a lick of English so he didn't even bother to warn me, hey, push forward when the camel goes down, or else, your back's toast, or something visual to that effect. But anyway, the belly dancing and a twirling skirt dance were both good. Food was just okay. The best, by far, was the 4x4 safari. The quad ride not so much as all we did was go around in circles for about 20 minutes or so. I wasn't expecting much and knew I was paying a lot for what I would actually get, but I didn't expect the driver to stink of cigarettes so much that it made people gag. Organisation chaotic at the event. ie if you didn't go on the first activity they didn't ask you about the rest. So I had to make the guy give me a very short camel ride because I didn't want to kill myself on the quad bikes. Food ok though. Also £5 for a 330 ml can of Heineken is a bit rough.